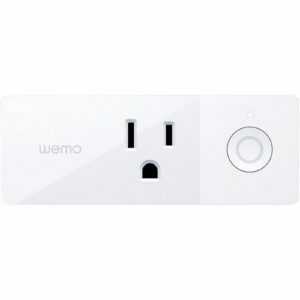 So I’m dipping my feet into the whole home automation can of worms and decided to start off with a few Wemo Smart Plug minis. The Costco 2 pack for $30 was a deal but it’s just gone up to $40 but I digress…. The reason why us Apple folks are so excited about this Belkin product is that a firmware update has enabled the Smart Plug to use Homekit without a bridge or the like. So when you get these devices you must update the firmware for them to be used with Apple HomeKit if you don’t have a bridge. But you’ll soon realize that there is no indication that a firmware update is available when using the IOS Wemo APP. THIS IS A BUG! Here is the fix >> Go through the setup and connect the little bugger or buggers to wifi and make sure you can control them with the Wemo App. THEN SIMPLY DELETE THE WEMO APP and download it again from the App Store and launch the app, you’ll now be able to update the firmware!! Seems like they really don’t want to make is easy for us to use Homekit and the Homekit app. Bugger you Belkin! Fix your Wemo app please.